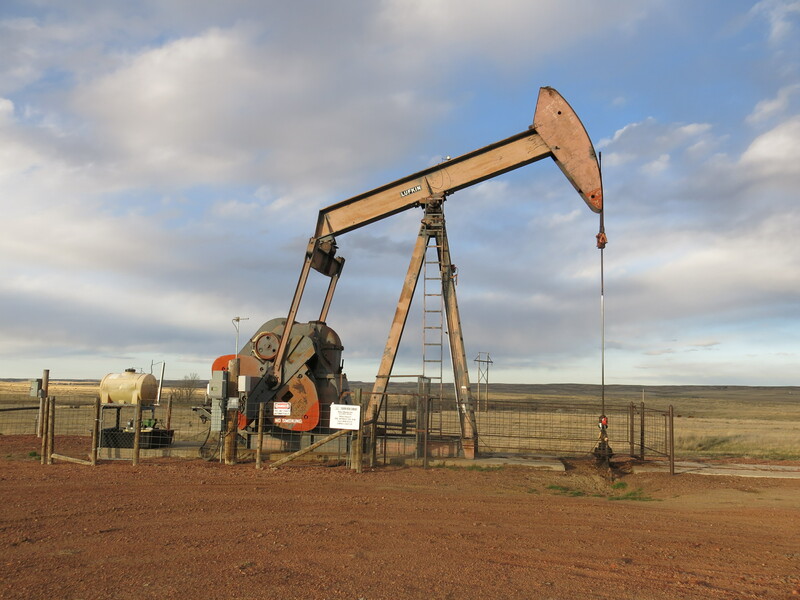 A pumpjack near Rozet, WY. April 12th, 2015. Some states are better positioned than others to weather the downturn in coal, oil, and gas according to data from the credit ratings agency Moody’s. Analysts considered factors like economic diversification, budget structure, and how much savings states set aside. Moody’s sees Colorado, for example, as fairly insulated because severance taxes make up a small part of the state’s total tax revenue. Local governments, however, are more exposed because they receive a relatively large share of dollars from energy production. North Dakota is being hit by falling sales and income taxes but, according to Moody’s, it has ample reserves to weather the downturn. Wyoming too has strong reserves but the economic effects of low prices are significant there, in part because of “a lack of industrial diversity,” the report says.